After trying to win over consumers with pricier tablets, Amazon is said to be working on a slate for the more budget-conscious. The Internet retail giant is planning to introduce a $50 tablet with a 6-inch screen in time for the holiday shopping season, the Wall Street Journal reports. At half the price of Amazon’s current 6-inch HD Fire tablet, the new slate would be one of the least expensive tablets on the market. The tablet would be the first of a collection Amazon is planning to release this year that would include a 8- and 10-inch screens, the latter of which would be larger than Amazon’s current HDX 8.9 tablet, the Journal reports. Also sporting a 6-inch screen, Amazon’s Fire HD 6 is currently the retailer’s least expensive tablet at $99, with screen-saver advertisements. The tablet also sells for $114 without the ads. 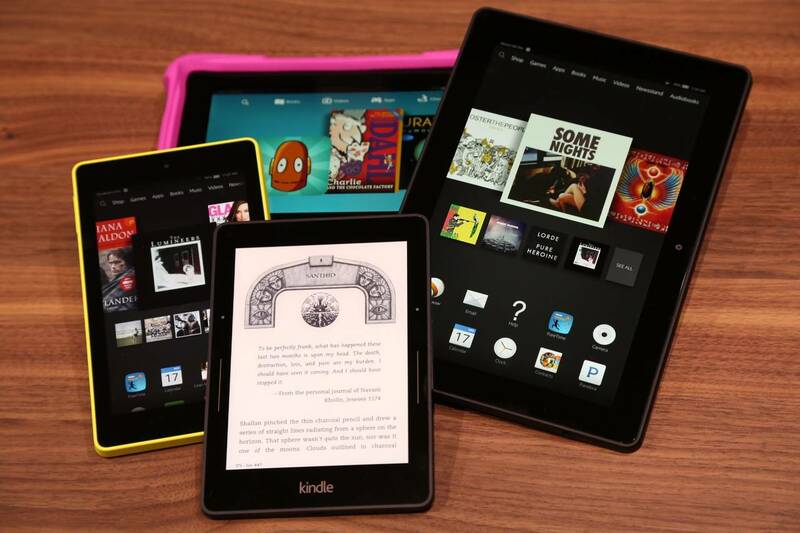 The Journal reported that it wasn’t clear whether the new tablet would have ads. The report emerges just days before Apple is expected to unveil a plus-size iPad Pro. This new iPad is expected to debut at Apple’s September 9 event and have a high-resolution display and possibly speakers on both sides of the device. In addition to Apple, Amazon would be facing the challenge of attracting consumers in a market where interest in slates has waned, thanks largely to limited upgrades and a lack of hardware innovation. The global tablet market declined 7 percent year over year during the second quarter, International Data Corporation reported in July. Tablet sales have been erratic over the past several quarters amid tougher competition and market saturation. Shipments of Apple’s tablets, including the larger-screen iPad and the iPad Mini, have declined 26 percent compared with the second quarter of 2013, IDC reported. Apple and Samsung dominate the tablet market, amassing market shares of 24.5 percent and 17 percent, respectively. Seattle-based Amazon is said to be retrenching its consumer electronics strategy after the company’s failed efforts to break into the smartphone space with its Fire handset last year. The Internet retailer has reportedly laid off “dozens” of engineers in recent weeks from withinAmazon’s Lab126, the secretive hardware unit behind many of the company’s consumer devices, including the Kindle, Kindle Fire and Fire smartphone. Amazon launched the Fire phone — its first-ever smartphone — in July 2014. The top-shelf handset featured four front-facing cameras that created 3D graphics, but it failed to ignite much in the way of consumer interest or actual sales. Three months after the launch, Amazon took a $170 million charge to wipe out the lost value of its unsold Fire Phones, adding that it still had $83 million in inventory at the end of that period. Also still in the works at Lab126 is a computer for the kitchen codenamed Kabinet that would act as a hub for an Internet-connected home, using the same voice-command technique as the Echo, the Journal reported. A tablet that delivers 3D images without the need for special glasses is also said to be in the works.